If you are a university student and you still can’t find out how to think out a good topic for your thesis writing, then first you need to take the specialty you count on and what specialist you exactly want to be into account. Actually, the quest about choosing a thesis topic is better to be formed much wider. The mark of a whole project is dependent on the topic you choose. The main thing: do not delay choosing the correct thesis topic, because situations when a supervisor gives it to you on their own are not that rare. This is not always good for numerous students. The point is, in many high schools students can choose thesis topics on their own, and their supervisors can offer topics as well. In second case, students choose topics from a common list. Topics that are hard to be understood or students just don’t want to get them, remain inactive. In this situation, students who never brought their topic to dean’s office, risk getting the most difficult topics. In order to make a correct choice, you need to know some important practical rules which helped many students already. When choosing a topic, you should know the field you are going to research. It does not matter what the discipline is. What matters is that, the author could have their formed opinion on the mentioned question. Thesis topic has to be ongoing. Old data that do not bring any use for humanity (even if the point is a small area of production) will doubtfully be interesting for someone. 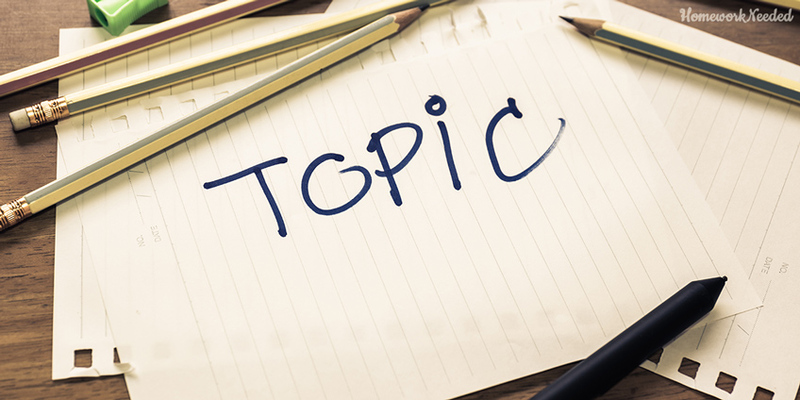 Yet in various meanings, the definition of the “ongoing topic” can be quite vast. From the scientific point of view, topical project is that based on reviewing a science having some of its sides unexplored. It is very simple, and it does not require detailed discussion. It is about the topic which has to be interesting to a thesis author. Psychology is what matters the most here. You won’t read “Forbes” magazine if it is not interesting for you, will you? You will prefer reading other sources which interest you and cause certain positive emotions to appear in your mind. Same thing is about rule number three. The topic should be chosen considering its description through big amounts of information. This means, the field that is about to be described should have vast limits, and not to be based on some short definitions. The wider will be the topic, the easier will be to build a logical chain to describe a thesis project. The chosen thesis topic has to have access to informational sources. Of course, you can write your thesis on your own from the beginning to the very end. But it won’t be considered as a full scientific work if you didn’t use achievements, definitions and proofs of other authors to base it. There is the obligatory chapter in a thesis: bibliography. If to use these practical recommendations, you are going to find a topic for your thesis much easier than you expected it to be.